Successful completion of the Instrument Rating Program leads to eligibility for a Multi-engine or Single engine Instrument Rating issued by Transport Canada, and the issuance of a Certificate of Qualification—Instrument Rating by Langley Flying School, Inc. The holder of an Instrument Rating is may act as Pilot-in-command of an aircraft where there is no visual reference to the ground. The Multi-engine (Group 1) is recommended for Commercial Pilot students since passenger transport is conducted primarily in multi-engine aircraft. The Group 1 Instrument Rating is required for qualification for an Airline Transport Pilot Licence. a valid Category 1, or 3 Medical Certificate. In accordance with the requirements established by the Private Career Training Institutions Agency, entrance into this program requires the completion of Grade 12 (or equivalent) or candidates must qualify as a mature student (age 19 and not having attended school full-time for 52 weeks). The above costs assume student have previously received 20 hours of instrument training received cumulatively through Private Pilot and Commercial Pilot training. All students must be cautioned that the cost of training is contingent on meeting the flight test standards of Transport Canada, and because the skill and knowledge of students varies, so do the training costs. While variations in student performance are more prevelent in basic flight training, Instrument Rating students must also financially plan for this and are encouraged to retain an additonal $5000 in reserve for financial planning purposes so as provide for varied rates of learning and varied levels of skill. Prepayent of fees is not required. Students pay tuition and aircraft unitlizations at the conclusion of training flights, and pay groundschool tuition, if applicable, at the beginning of the session. All flight schools in British Columbia are required by law to charge the GST (5%). Visa, MasterCard, American Express, and Debit Cards are accepted. 70% on the Transport Canada INRAT Examination (Air Regulations, Instrument Flight Rules and Procedures, Meteorology, Instruments, Radio and Radar Systems, and Navigation). 40 hours instrument time, including a cross-country flight in actual or simulated IFR conditions of not less than 100 nautical miles, and including instrument approaches to specified approach altitude minima at two locations. In accordance with the training standards of Transport Canada and Langley Flying School, the table below provides an outline of air training which makes up the Instrument Rating Pilot Program. Note that both Group 1 and Group 3 Students begin training in Langley Flying School’s Elite Flight Simulator, which is certified as simulating both single engine (Group 3) and multi-engine (Group 1) aircraft. After completing the simulator portion of the training, students change to the appropriate aircraft (the Piper Cherokee or the Piper Seneca) for the completion of the cross-country requirements and flight test preparation. The left wing of Langley Flying School’s Piper Seneca over Oregon. March, 2005. Group 1 students beginning the program without a Multi-engine Class Rating start multi-engine training following the completion of the simulator portion, and then return to instrument training for the cross-country and flight test preparation portions of the program. Students with previous IFR procedures training (acquired, for example, during Commercial Pilot training) can apply to the Chief Flying Instructor to have previous training accredited to this program. This accreditation can be applied to those exercises pertaining to holds, vectored approaches, and procedure turns. Candidates with previous experience who qualify for accreditation can reduce the simulator portion of the program by as much as 11 hours. Those exercises that may be accredited are indicated in the outline below. Applicants for accreditation shall undergo an evaluative flight test conducted by the Chief Flying Instructor on the simulator, in which all or portions of the accreditation may be granted based on satisfactory performance in the flight test and documentation of previous IFR training. As an introduction to holding procedures, this exercise focuses on the fundamental aspects of hold procedures, including a review of the components of a hold clearance and clearance read-backs, as well as an examination of the anatomy of holds and the criteria used to assess the quality of hold. The student is introduced to the first of three hold entries—the Direct Entry procedures—and the timing and tracking procedures used by the pilot to conform with the hold clearance, with special consideration on pilot procedures used to compensate for wind. The Direct Entry procedure is applied to both VOR and NDB holds. This exercise qualifies for accreditation. Hold at the Abbotsford NDB on assigned tracks in moderate winds. This exercise examines the two remaining hold entry procedures—the Parallel Entry, and the Offset Entry. Hold clearances and read-backs are reviewed, and the student is introduced to non-standard hold procedures. This exercise is applied to both VOR and NDB holds. This exercise qualifies for accreditation. Hold non-standard at the Abbotsford NDB on assigned tracks in moderate winds. This exercise examines the challenge of entering and establishing the aircraft in wind conditions in excess of 30 knots, requiring radical adjustments to both the timing assigned to the inbound and outbound legs, as well as the headings required to produce accurate positioning of the aircraft for the inbound track. This exercise qualifies for accreditation. Hold at the Abbotsford NDB on assigned tracks in strong wind conditions. This exercise focuses on variations from typical hold procedures. The localiser hold utilises the combined signals of a localiser and an NDB—typically the Final Approach Fix—for aircraft positioning, while the DME hold requires a holding pattern between specified DME distances—typically with a specified 5-NM spacing block from a VORTAC. The GPS Waypoint hold is very similar to the standard VOR hold. This exercise qualifies for accreditation. The vectored approach is the most elementary form of IFR approaches. This exercise focuses on the ILS and LOC Approaches. Students are introduced to the various phases and cockpit sequences associated with an approach clearance, including Approach Plate Briefings. In this exercise the simulator is flown down to the minimum published altitudes associated with instrument approaches—the Decision Height with respect to the ILS approach, and the MDA with respect to localiser approach, and students are introduced to published Missed Approach procedures. This exercise qualifies for accreditation. Vectored ILS DME Runway 29R at Vancouver Airport. This exercise focuses on vectored NDB Approaches, with similar subjects of concern as outlined in the previous exercise: ATC clearances, phases and cockpit sequences, including Approach Plate Briefings; Minimum Descent Altitude requirements; Missed Approach procedures. This exercise qualifies for accreditation. Vectored NDB DME Runway 27 at Victoria Airport. Students in this exercise are introduced to procedures used in a non-radar instrument approach procedure—the manoeuvre referred to as the procedure turn. Students review the anatomy of procedure turns, as well as the conventional variations in procedure turns. This exercise qualifies for accreditation. Full procedure VOR Runway 11 at Williams Lake Airport. The focus of this exercise is NDB procedure turns. Students are introduced to tracking control requirements that vary outside and inside the final approach fix. Greater emphasis is placed on the precise control of distance, speed, and timing variables during the intermediate and final approach phases of this form of non-precision approach. This exercise qualities for accreditation. Full procedure LOC B, Kamloops Airport, with missed approach and hold at the Kamloops NDB. This exercise examines the application of the procedure turn to transition onto the localiser and glideslope of an ILS approach. This exercise qualifies for accreditation. Full Procedure ILS DME Runway 13, Prince Rupert Airport, with missed approach and hold at the Prince Rupert NDB. Students are introduced in this exercise to GPS Approach procedures. Three approaches are examined. When air training is conducted from Langley Airport, all of these flights finish with the execution of the GPS A approach at Langley Airport. Students learn how to activate a GPS approach and how predict and confirm RAIM7 prior to crossing of the final approach fix. 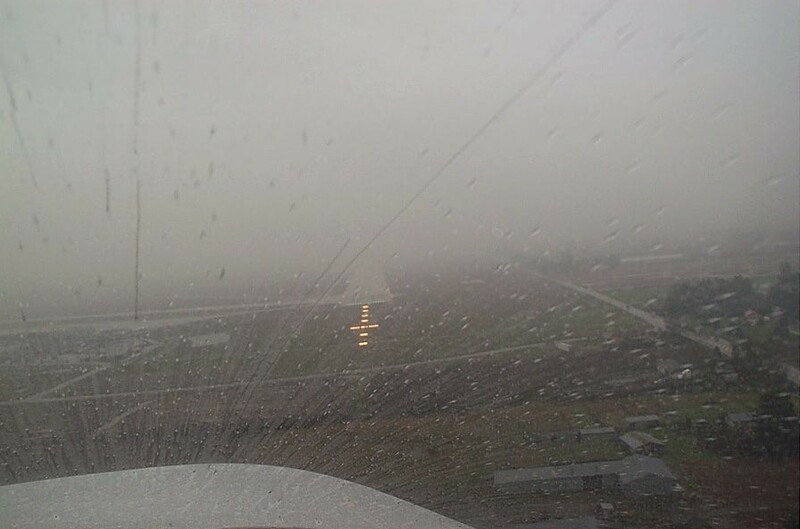 GPS Runway 15, Smithers Airport, with missed approach and hold at Houston VOR. This exercise examines the application of DME as a supplemental navigation aid in approach procedures. LOC DME-2, Kelowna Airport, with missed approach and hold at Kelowna NDB. The focus of this exercise is the use of DME Arcs to position the aircraft for a straight-in approach and thereby forgoing the requirement for a procedure turn. Anti-clockwise 14 DME Arc for the ILS Runway 15, Prince George Airport, with missed approach and hold at the Xray NDB. This exercise examines Backcourse Localiser approaches—considered to be one of the most challenging forms of non-precision approaches, owing to the close proximity of the localiser transmitter to the runway threshold. In this exercise, students also experience the additional challenge of the “reverse-read” conventional (non-HSI) ILS cockpit display. LOC Backcourse VOR DME-2 Runway 33, Prince George Airport, with missed approach and hold at the Prince George NDB. In this exercise students examine the procedures associated with a published IFR departure procedures. Specified Visibility departure (Category A), Castlegar Airport. Naramata Route, Specified Visibility departure (Category A), Runway 34, Penticton Airport. In this exercise students examine the procedures associated with published IFR arrival procedures. Impor Arrival (via Watcom VORTAC), Victoria Airport, with hold at IMPOR. This exercise provides for a simulated flight test on the simulator, consisting of a Langley Airport departure, a hold at the Abbotsford NDB, a vectored ILS at Abbotsford Airport, a hold at the Whatcom VORTAC, a full-procedure NDB at Abbotsford Airport, and the GPS approach back at Langley Airport. This exercise introduces students to cross-country IFR and involves a flight from Langley Airport to Tofino Airport. The flight is first flown on the simulator, and then flown in the aircraft. This flight satisfies the cross-country requirements for the Instrument Rating. The flight departs from Langley Airport, an NDB approach is conducted at Nanaimo Airport, an ILS is conducted at Victoria Airport, and the GPS approach is conducted at Langley Airport. All approaches will be to the minima specified in CAP or JEP in actual or simulated instrument conditions. The flight is first flown on the simulator, and is then flown as an air exercise. Focus from here on in the training, will revolve around flying the routings and hold/approach sequences anticipated for the instrument flight test. The flight test routing is at the discretion of the Pilot Examiner, but typically entails a departure from Langley Airport, a hold at the Whatcom VORTAC, a vectored ILS approach (with a simulated engine failure at or just prior to interception of the localizer, and a GPS approach back into Langley Airport. The ride normally last about 50 minutes. Langley Flying School Instrument Rating Groundschool Manual Langley: Langley Flying School, Inc.
Before students can write the Final Examination, they must complete eleven Review Quizzes, to be written in class; the questions used in the Review Quizzes will be extracted from the study questions that appear at the end of each chapter. Passing mark on the Review Quizzes is 80%. The Review Quizzes may be written any time during the term for those students undertaking accelerated home study. Students are encouraged to submit completed study questions for review and correction by the instructor. Since it is impossible to cover in class all of the material associated with the Transport Canada examination, how well a student does depends directly on his or her efforts in reading, studying at home, and asking questions in class. To get the full benefit of class discussions, students should complete the assigned readings prior to class. Tutorial instruction will revolve around subjects, procedures and issues examined in ground school with emphasis on the applied aspect of instrument flight and flight planning. Using a series of simulated flight scenarios, students will prepare practical case planning that includes the following: simulated or real weather analysis; determination of departure procedures, route procedures, approach procedures; and alternate airport procedures. In examining the flight scenarios, discussion will consider applicable weather minima requirements, hypothetical weather hazards, communication and navigation equipment failures, and variations in ATC clearances. When available, instrument students will also participate as observers in actual instrument training flights. 2 The estimated costs presented here are based on the assumption that students beginning the program have a Commercial Pilot Licence—which of course is not always the case. An instrument rating requires 40 hours total instrument flying experience. The normal course of pilot training is for Private Pilots to have acquired 5 of the 40. If the Private Pilot has also acquired a Night Rating, they have an additional minimum of 5 hours, meaning they have acquired 10 of the 40 required for the instrument rating. If the same student has completed the VFR OTT rating—which requires an additional minimum of 5 hours—they would have acquired in total 15 of the 40 hours required for the instrument rating. 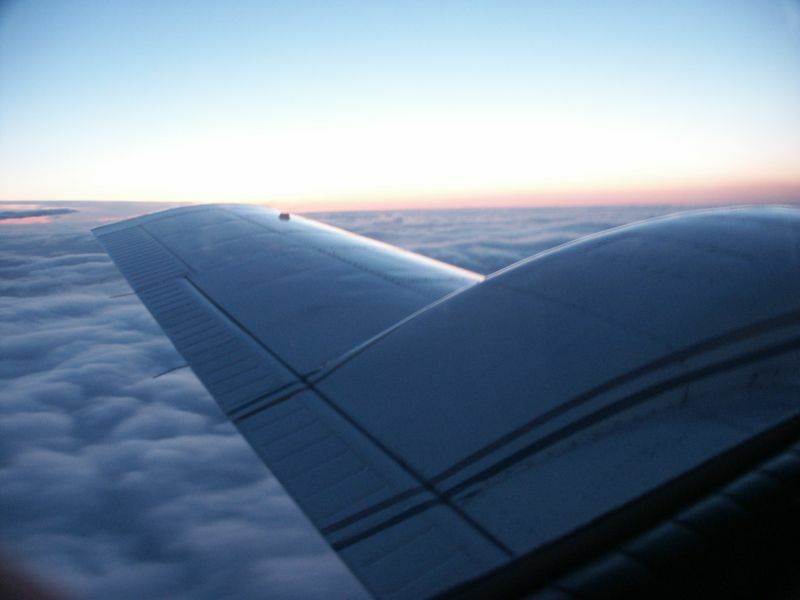 By comparison, commercial students have acquired 5 hours from their Private Pilot training, plus an additional 20 hours instrument time for their Commercial Pilot training, and therefore have a total of 25 of the 40 hours required for the instrument rating—only an additional 15 hours training is required. 3 This cost is made up as follows: Pilot Examiners fee $300; Transport Canada written examination fee: $200; and Transport Canada licence fee: $35. 4 All multi-engine instrument training is conducted on Langley Flying School’s Piper Seneca, equipped with an oxygen system, turbochargers, a two-axis autopilot with altitude pre-select, electric trim, IFR GPS with moving map certified for terminal and approach procedures, an altitude alert system, and slaved HIS and RMI systems. The aircraft seats six people and is certified for flight up to 25,000’. 5 This cost is made up as follows: Pilot Examiners fee $300; Transport Canada written examination fee: $200; and Transport Canada licence fee: $35. Note, the aircraft costs for the Flight Test are not included. 6 Moderate winds meaning, generally, between 10 and 20 knots. 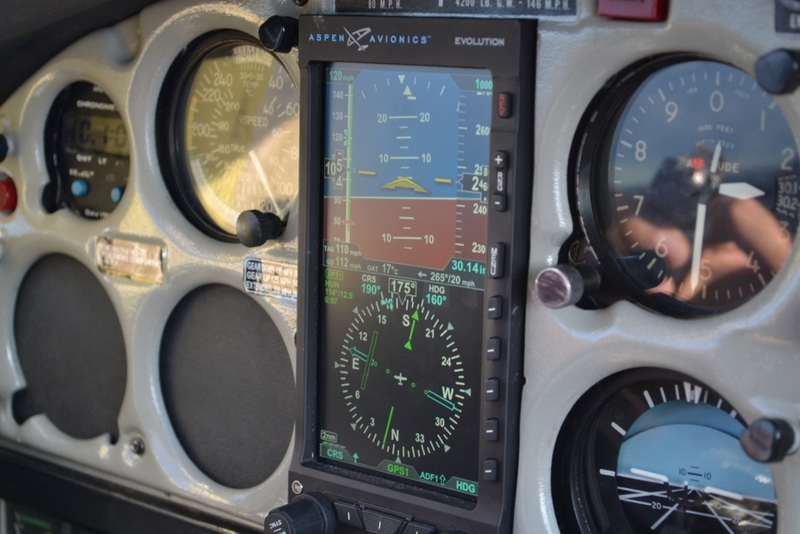 7 An IFR-certified GPS receiver, such as is equipped in Langley Flying School’s Seneca, must continuously monitor the performance of the satellite transmission data as GPS satellites transmitting erred data cannot be spontaneously rectified by the GPS Master Control Station located in Colorado Springs. The monitoring is accomplished by the RAIM (Receiver Autonomous Integrity Monitoring) feature of the GPS receiver, which continually monitors satellite health by checking the consistency of satellite position information (called “over-determined position solution”). Five measurements with good geometry concerning the aircraft’s position are needed to provide RAIM; since an IFR GPS utilises as a source of measurement the aircraft’s altitude encoder, the minimum number of healthy satellites is four. If there are not enough satellites in view of the receiver to assure position integrity, the receiver notifies the pilot. RAIM availability is rarely a problem during the en route and terminal phases of IFR flight, but the allowable limits are much tighter when an IFR non-precision approach is being conducted—during this phase the aircraft is descending commonly to within only a few hundred feet of the ground without visual reference. A “RAIM not available” signal is useless during these critical low-altitude phases of an IFR approach, so the IFR receivers have the capability to check RAIM availability at a future time—i.e., when the pilot is planning to conduct the approach; knowing the future geometry of orbiting satellites, RAIM is predicted by the receiver for the pilot’s benefit. 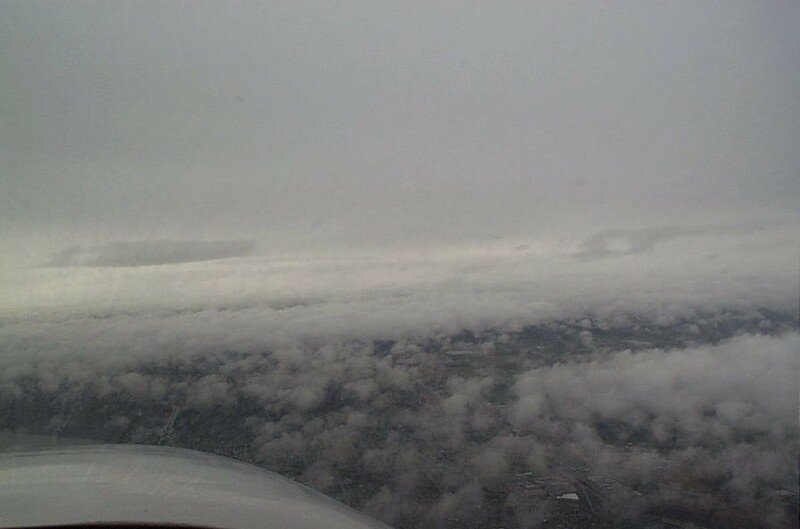 An IFR pilot cannot conduct an approach unless RAIM is checked prior to crossing the final approach fix. 8 This publication contains the operating instructions for the autopilot system.